By Michael Crocker Photographs by Rebecca Hale Published by NAMA and Tilbury House "This book had to be written..." Although Sharing the Ocean tells the story of failure in fisheries management in the U.S. since the 1976 passage of the Magnuson Fisheries Conservation and Management Act, it also lays the groundwork for hope for the future. Over the past decade, NAMA has set the standard for effective collaboration in the pursuit of one question: if we truly care about the health of our oceans does it matter how, where and when we fish; and, who catches the fish that end up on our dinner plates? The answer is yes. 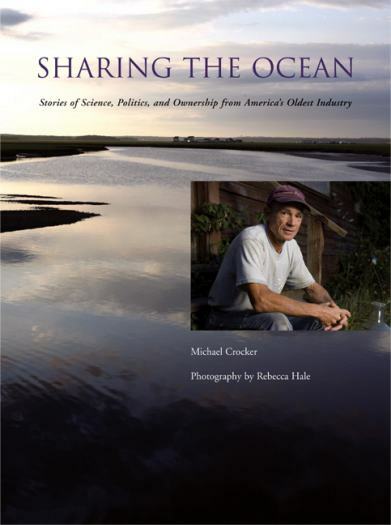 As eloquently chronicled by Michael Crocker in Sharing the Ocean, conventional wisdom and scientific analysis tell us that effective local decision making processes, local knowledge and local fishing communities are the key to getting what we need from the ocean in an ecologically responsible and economically sustainable manner. Based on what we know today, we now set out with great hope for the future of our oceans to answer a new question: How do we facilitate the transition of 1) the market for marine products toward one that is locally based and supports local, small-scale fishermen and fishing communities; and, 2) the decision-making processes toward one that includes community- and ecosystem-based principles? We thank all of our past and future supporters, collaborators and funders. In particular, we’d like to thank the Andrus Family Fund for making Sharing the Oceans possible. Sharing the Ocean is printed on elemental chlorine free paper because chlorine kills fish. Printed on 25% post-consumer recycled content paper with non-hazardous vegetable-based ink and printed in a facility using 100% windpower.